This is a special recipe for the holidays. Its pleasures lie in its easy leisurely pace, the way each part of the preparation is done with plenty of time to spare until the next step is needed. It’s a cake for lazy long afternoons, celebrations with friends, a festive tea time which slides easily into an early evening with a glass of something crisp, ice cold and sparkling. 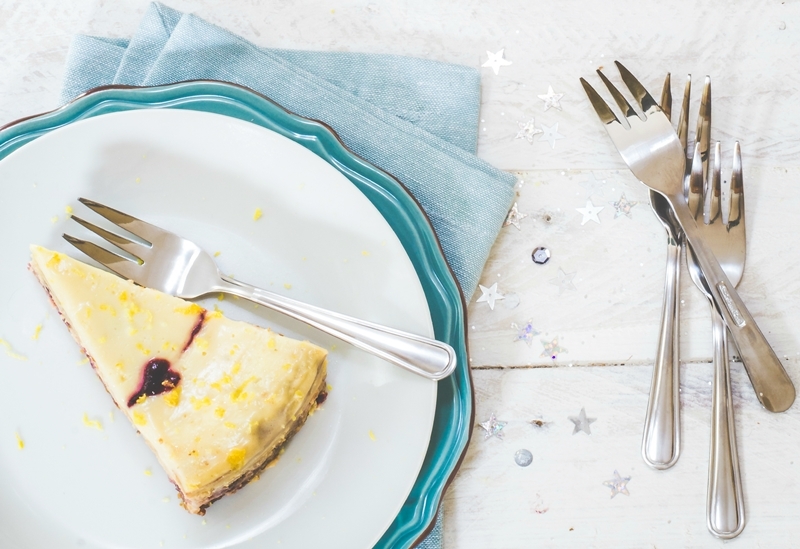 It’s a delicious mix of zesty tartness of lemon, baobab and berries combined with the velvet creamy lusciousness of mascarpone and crème fraiche. It wakes up your taste buds at the same time as melting in your mouth. Especially developed for EcoProducts by Candice Douglas of the Social Post, this is a tried and tested recipe that focuses on exceptional taste using locally produced natural ingredients. We’re talking Oryx Desert Salt, Eureka Mills flour, Nomu vanilla extract, EcoProducts baobab powder and Krone Borealis MCC. This recipe works best with the eggs, mascarpone, and crème fraîche at room temperature. Remember to take them out of the fridge about 2 hours before you get started. Pour yourself a lovely cup of tea and take time to read through the recipe from start to finish in order to map out the process, and so you know what to expect. 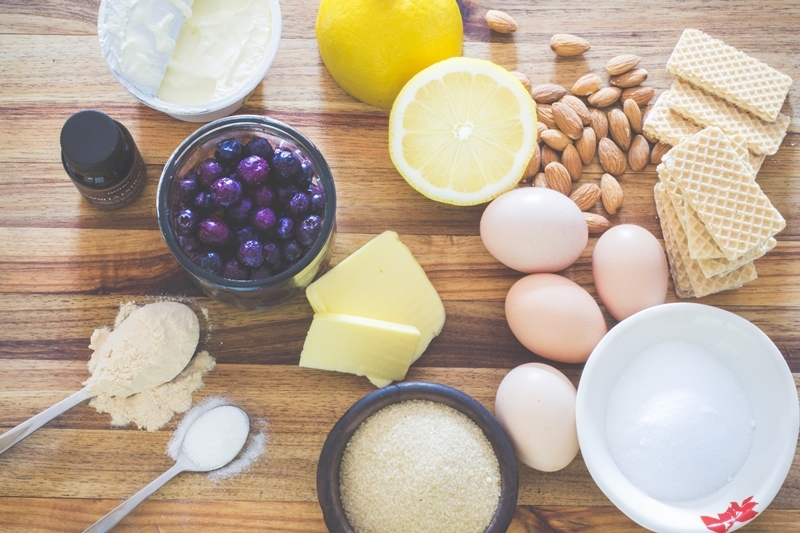 The recipe can be done in just under 2 hours (excluding the time you need to bring your dairy ingredients to room temperature), but why not give yourself a relaxed morning in the kitchen to unhurriedly enjoy the process? Heat oven to 175ᵒ C. Grease a 22cm springform cake tin, or line with baking paper. In a blender, grind almonds until finely crumbed. Remove and do the same with the biscuits. Return the almonds to the blender, add sugar and salt, and blend again until mixed. Add butter, and pulse-blend until evenly mixed in. Press into prepared cake tin forming an even crust along the bottom. Bake crust for 10 minutes before removing and allowing to cool. Bring water to boil and add sugar and lemon skins. Allow to boil for 5 minutes, uncovered. Add blueberries, and simmer for 5-10 minutes. Take off heat, and remove lemon peel. Stir in lemon juice and baobab powder. It will thicken slightly, and you should be left with a little more than a cup of compote. Keep 5 Tbsp of sauce aside for the decoration. Alternating between a medium and high speed, beat together the mascarpone and sugar until smoothly combined. Add salt, baobab powder, and flour, and on a medium speed, mix well. One at a time, add eggs, carefully mixing each one in and scraping down the sides of the mixing bowl if necessary. Add crème fraîche, lemon juice, and vanilla extract, and mix well, scraping down the sides of the bowl again to make sure everything is nicely incorporated. Pour the batter over the cooled crust. Using all of the remaining berry compote, drop it into the batter in dollops, stopping now and then to gently swirl the berry sauce and whole berries through the mixture without blending it in. Oven-bake for 45 minutes* until the center of the cheesecake is set, but still wobbles just a little if you gently ‘wiggle’ it. While it is in the oven, prepare the glaze and the remainder of the compote. Whisk all 3 ingredients together until smooth (1-2 minutes) using a stick blender or hand mixer. 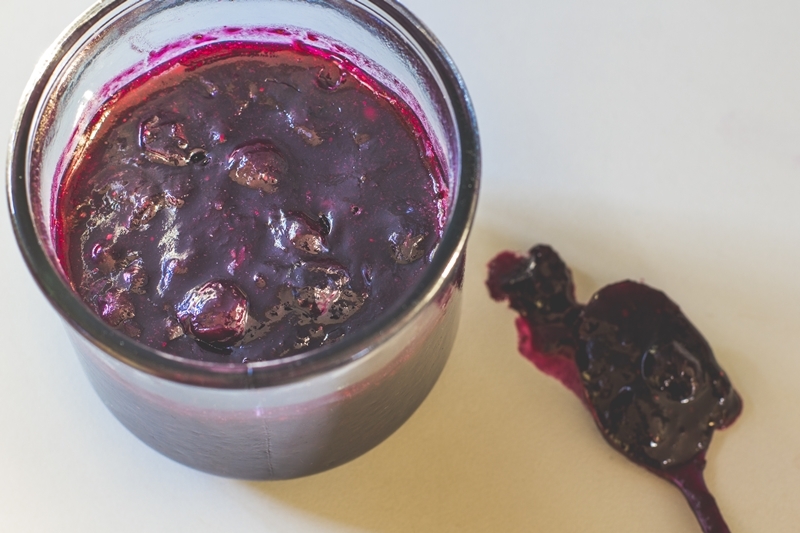 In a blender, or with a stick blender, blitz the leftover compote until smooth, being sure to remove all lumps. When the cheesecake is done, spoon the glaze evenly over the top and return to oven for 5 minutes. To decorate with heart-shapes, using a piping bag or teaspoon carefully drop evenly-spaced blobs of berry sauce onto the cheesecake around and just inside the circumference. Drag a toothpick slowly through each blob, not lifting the toothpick until you’ve joined up with the first blob. Refrigerate for 2 hours, or overnight, before releasing from springform cake tin and adding a fresh grating of lemon zest. Then serve festively with some delicious bubbly (we’ve used Krone Borealis MCC) – your friends and family will love it!